Maitreyi was initiated into Spirituality at the astral level by Maharshi Amara at the age of 12. She formally joined Meditation classes in 2003 and since then been trained at the higher levels for the work of the Rishis and the Divine Projects. She was given the name “Maitreyi” at the astral level in 2009 and has been using it officially since 2014. She is now working for the Rishis both at the physical and the astral levels. Her main works are anchoring and distribution of energies all over the world, channeling new knowledge from the Rishis and assisting the Rishis in their works. He is Maitreyi’s brother. 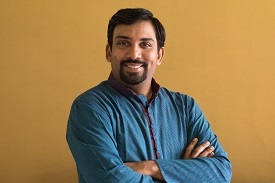 Karthik has been practicing Meditations since 2000 and was initiated as a Rishiworker in 2008 and started working at the astral level under the guidance of the Rishis since then. He was given the name “Karthik Vishwatejas” in 2014. 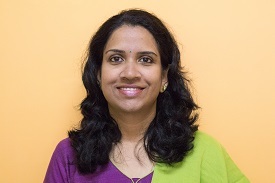 Karthik assists Maitreyi in her Spiritual works and is also involved in researching and expanding the knowledge of the Spiritual Realities under the guidance of the Rishis. He is the Managing Trustee of VishwaAmara Trust and the administrator of this website.